As you may remember from last week (or was it the week before? No matter...) I have a lilac bush. Now, to those of you in the Northeast and Inland Northwest, a lilac bush is nice, but nothing special. But for Arkansas, a lilac is a rare treat. It generally doesn't get cold for long enough in the winter, and it gets too hot in the summer, so you have to be very careful about the variety. 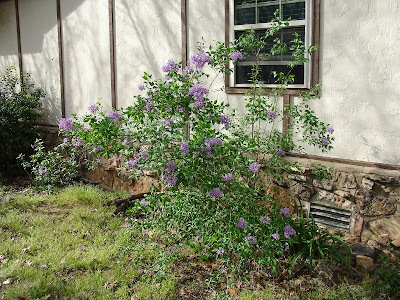 Apparently, a previous homeowner did their homework, because my lilac is very healthy. It needs some trimming, but as you can see, it is flowering away. And I am not the only one who appreciates the lilac bush. 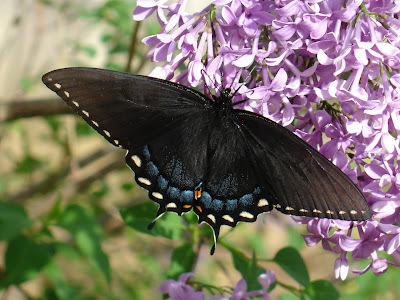 Bees (no picture of them - the only one I had was too blurry) and this butterfly, probably a spicebush swallowtail, also enjoys it. What a treat! 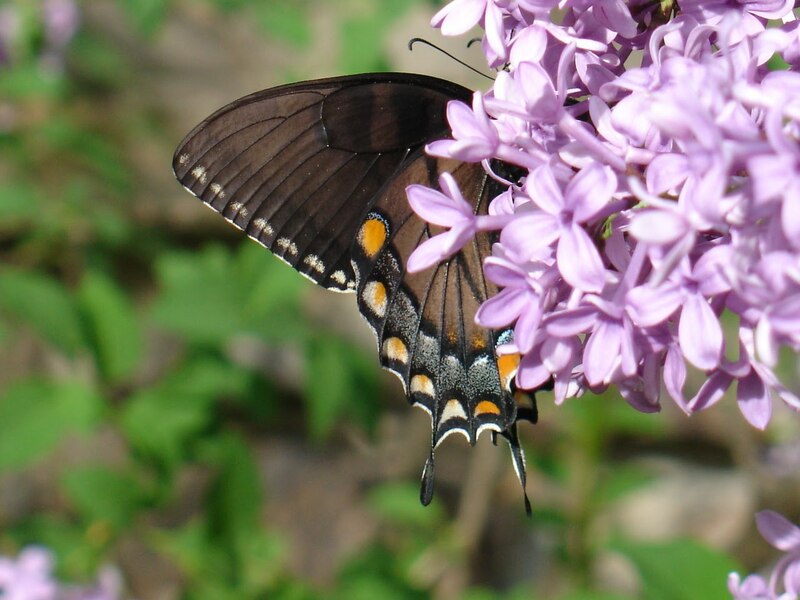 I am so very happy to have a lilac and butterflies. 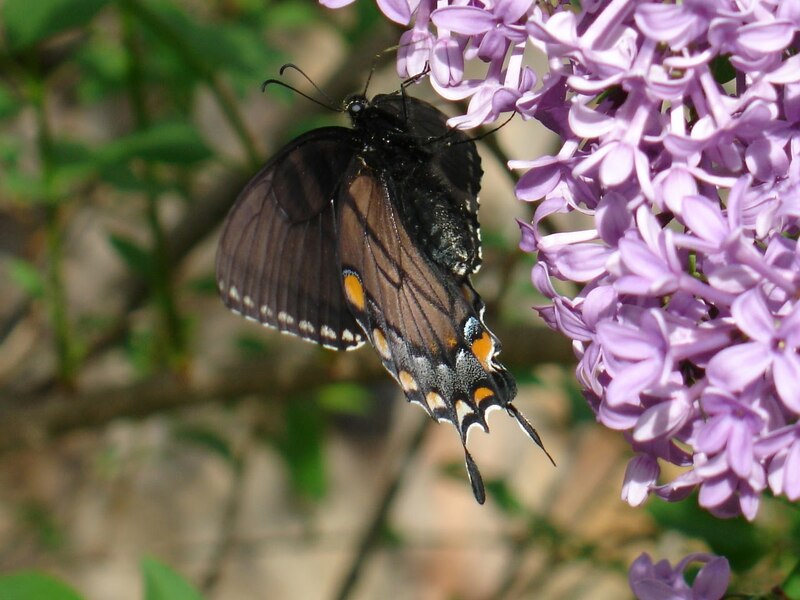 Can't you just smell the lilacs? One of the few times I wish we had smell on the Internet. Two of the 4 pictures are now on my background list! Great pictures. Wow. 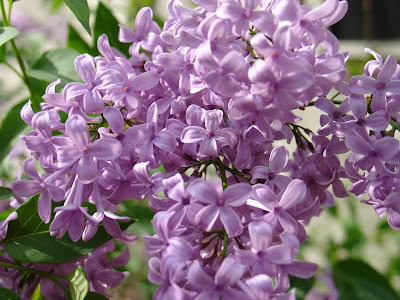 And I can smell the lilacs. Mine will be out soon. How beautiful! I love Spring! Honey, why is my lettuce so furry? Bulbs, tomatoes, and jessamine, oh my!